If you have a little lord or lady holding court in your midst, make your home his or her castle with this cute and clever children’s bureau fortress. Made in France with wood from sustainably managed forests, the model above is complete with chalkboard paint for kids to decorate and personalize as they wish. Other variations include walnut, maple, oak and muirapiranga birch wood. When pushed in, the stool acts as the castle gate so tots can close up shop when work is over and playtime calls. 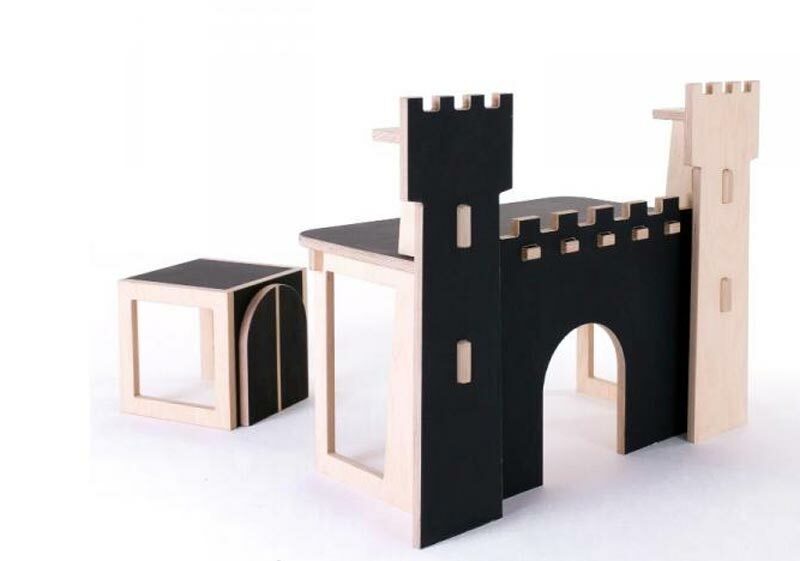 If you have a little lord or lady holding court in your midst, make your home his or her castle with this cute and clever children's bureau fortress. Made in France with wood from sustainably managed forests, the model above is complete with chalkboard paint for kids to decorate and personalize as they wish. Other variations include walnut, maple, oak and muirapiranga birch wood. 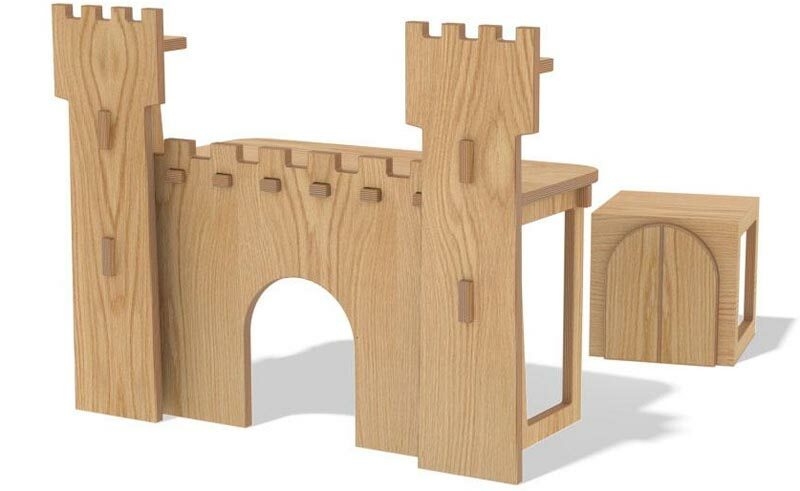 When pushed in, the stool acts as the castle gate so tots can close up shop when work is over and playtime calls.